LOS ANGELES, CA (ANS) – He’s been imprisoned in Nigeria, had his hotel in El Salvador wrecked by a car bomb, received a death threat from the father of the notorious Kray Twins, and is one of first-ever Christian journalists to report from inside of North Korea. 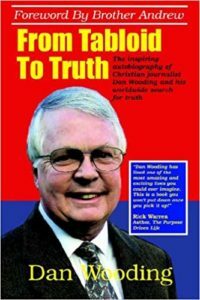 The story chronicles the exciting and tumultuous times of British Christian journalist Dan Wooding. 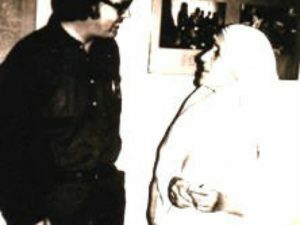 Dan went from working for Billy Graham’s newspaper, The Christian, to a period in the British tabloids (senior reporter for both the Sunday People and the Sunday Mirror), as well as being a London correspondent for the US-based National Enquirer, and all the excitement and intrigue that entailed. Eventually he became embroiled in the tabloid life and all the vices that went along with it. He hit rock bottom, until God turned his life around in a powerful way. He then used his journalistic skills to be a voice for the voiceless and persecuted church around the world. The title of the script is an apt metaphor for Dan’s life. 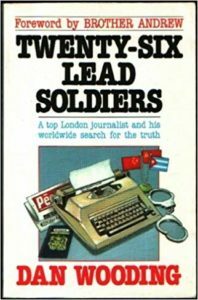 In referring to the power of the written word, Karl Marx once said, “Give me twenty-six lead soldiers, and I will conquer the world.” And that is what Dan Wooding has been doing now for many years, but in the opposite way: he uses his twenty-six lead soldiers for good, not evil. Life Film Fest is the unique, world-wide film festival dedicated to showcasing films which affirm the importance of the human experience and the unique value of every life. We are a team of individuals from throughout every aspect of the entertainment industry who wish to see life-affirming content once again emanating from this creative business. And we are also helping raise up a whole new generation of filmmakers and giving them entrance into this industry that so impacts the world. Claire Hutchinson is a producer and award-winning screenwriter, script analyst, film festival judge, speaker, and producer. She is the screenwriter of the film “Lucky’s Treasure”, starring Michael Ironside (“Top Gun”, “Total Recall”), Delaney, and J.T. Neal. It was distributed by Pureflix and Universal Studios in 2017. She is also the co-producer, writer, and director of the short film, “Living the Dream,” which won third place in the shorts category at the Winnipeg Real to Reel Film Festival in 2019. Her WWI script, “The Czar’s Letters”, won first place in the Winnipeg Real to Reel Film Festival in 2019. For almost 30 years, Terry Porter has been a WGA signatory agent, representing screenwriters, producers, composers, and actors through Agape Productions and The Terry Porter Agency. Some of the companies he has sold projects to include CBS, NBC, ABC, Turner Network, and Larry Levinson Productions. Terry was a distributor of “The Door’s Always Open”, the co-executive producer of “An Animator’s Life: The Phil Roman Story”, and associate producer of “Hollywood on Fire”. 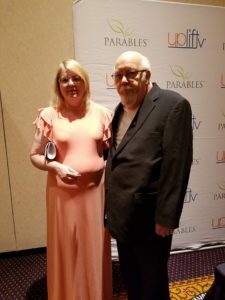 As co-owner of Ambassador Communications with his wife, Claire, he is the co-producer of the Christian comedy film entitled “Living the Dream”, which released in 2018. He is currently developing an extensive film slate which includes “The Doctor” (about the euthanasia campaign in Nazi Germany) and “Caleb the Colt” (animated musical).